Light has always been right, or at least really, really handy. New in February is this downright gossamer piece by Mountain Hardwear. 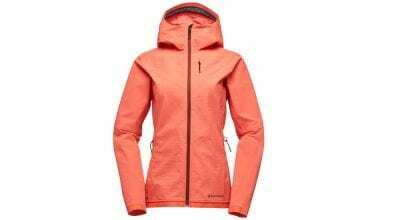 A superlight (4.9 ounces for men’s, 3.4 for women’s), breathable jacket, it is a combo wind shell and soft shell intended to prevent overheating during sustained exertion, i.e. for you to put on and keep on. It packs down into its own pocket and can be hung from a harness for multi-pitch or big-wall routes. 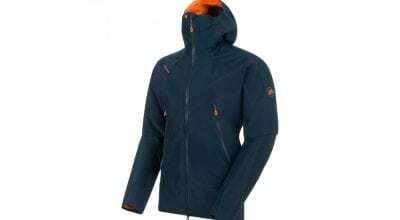 The jacket is constructed of Pertex® Quantum AirTM 20D Stretch Ripstop nylon, with a full hood and a zipper that comes about halfway up to your nose. It is not waterproof but DWR (durable water repellent). I had intended to wear the shell, available for both men and women, as a midlayer or, in warmer weather, an outer layer, but have found it especially useful for gym use. You wear it to warm up, and maybe even the whole session, because is stretchy and comfortable and doesn’t bug you. I have several airy items like these and use all of them an absolute ton. 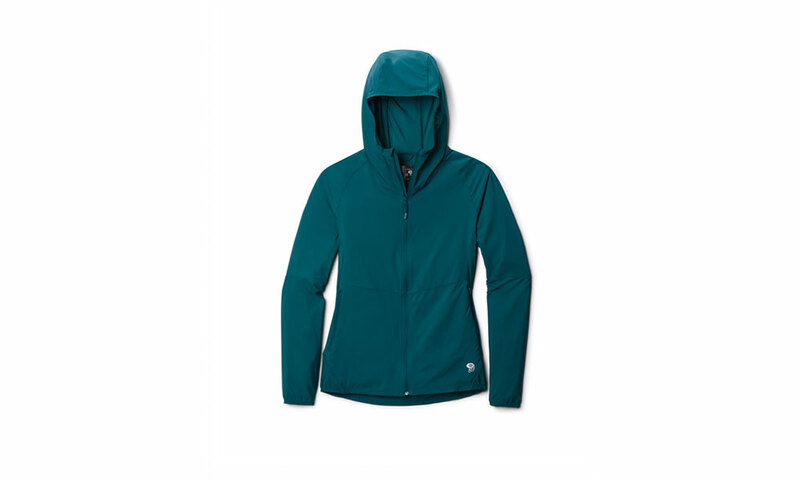 Mountain Hardwear must like this shell, too—they’ve made it in eight colors.